Happy Monday! We’re springing forward by keeping tabs on some exciting innovations in the ed community. Check out the two articles below to keep yourself in the know and hopefully spark some new ideas. 1) A New Way to Design School: A friend and former colleague – soon-to-be Principal Will Eden – has been working hard for the past few years as he prepares to launch a school with Alpha Public Charter Schools in San Jose, California. This is an incredible feat on its own, but what has us so excited is the innovative approach he’s using to design the school and the experience it will offer to students. Following the methods of design thinking, Will and his team interviewed dozens of community members, parents, students, and other stakeholders to empathize with the needs of the “users” of the school and proactively create solutions to the problems they had faced in past school experiences. Check out this article from the Hechinger Report, which provides a little peak into the process. Interested in applying design thinking to your own school? 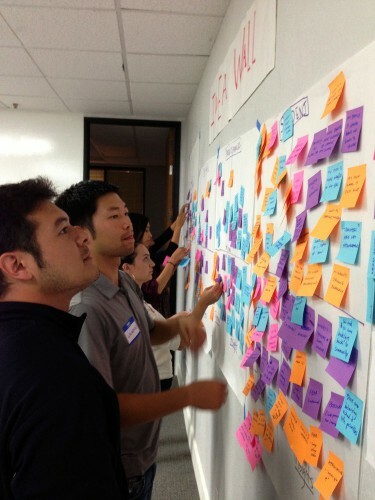 Check out these summer PD opportunities from the K12 Lab at Stanford’s d.school. A great place to start! A mashup of democratic and project-based learning would enhance the characteristics that lie at the heart of the entrepreneurial mindset. Zhao envisions schools that combine three essential elements: a freedom-based, non-coercive environment (as can be found at England’s democratic Summerhill School); enhanced project-based learning opportunities (such as those offered at New Technology High in Napa, California); and interaction with the larger world (as practiced by a program that allows students at the Cherwell School in Oxford, England, to collaborate with students at the Gcato School in Eastern Cape, South Africa). Is your school freedom-based and non-coercive? Does it offer rich project-based learning opportunities and push students to interact with the larger world? If not, check out the article and think about ways to move in this direction.